Iranian President says his country will adhere to commitments under the 2015 nuclear deal: Haggling with it is ridiculous. 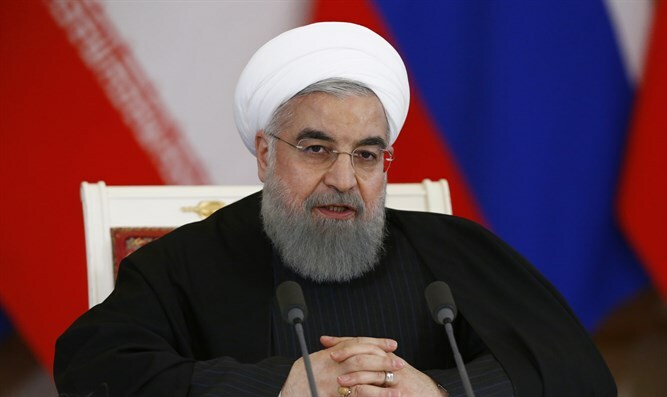 Iranian President Hassan Rouhani said on Saturday his country would adhere to commitments under its 2015 international nuclear agreement. Under the agreement signed with the United States, Britain, France, Germany, Russia and China, Iran agreed to limit its nuclear activities in return for the lifting of many sanctions. U.S. President Donald Trump, who has repeatedly criticized the Iran deal negotiated by his predecessor Barack Obama, recently decided to extend a waiver on nuclear sanctions that were imposed on Iran. However, he said it would be the last time he will do so and ordered European allies and Congress to work with him to fix “the disastrous flaws” in the 2015 deal or Washington would withdraw. “If the U.S. violates this agreement... you will see that America will regret this decision,” Rouhani said on Saturday, according to Reuters. He added his country had always adhered to contracts deals so long as other party did not violate the contract. Rouhani arrived in India on a three-day visit part of efforts to expand bilateral ties and cooperation in economic development. He also met with Indian Prime Minister Narendra Modi. Iranian officials have repeatedly criticized Trump for threatening to leave the deal. Iran's Foreign Minister, Mohammad Javad Zarif, has warned Trump of a "reciprocal measure" if sanctions were reimposed on his country. Rouhani stressed earlier this month that the Islamic Republic will not renegotiate the 2015 nuclear deal. The Iranian president added that the nuclear deal is an international agreement and is a commitment undertaken by the U.S. government and not by the Democratic Party. He also said that Iran’s missiles are part of its defense program and do not impose a threat upon any party. Western countries say Iran’s repeated ballistic missiles tests are a violation of the UN resolution enshrining the 2015 nuclear deal. Iran denies it is in violation of any UN resolutions.